Бесплатный замер при заказе мебели. Расчет проекта и стоимости шкафа купе. Furniture site for the production of custom furniture "Art-Design - a custom-made furniture from the manufacturer" offers you see the different options of furniture for home, apartment, office, children's rooms, fitness centers and hotels. Custom furniture in our company is very different directions, it is home and commercial furniture, as well, and furniture for children's institutions. Do you have the opportunity to make a purchase or reservation you need furniture from the office or home. Our furniture site is made for your convenience and to save you time. To order or to buy the furniture you do not have to go through the city in search of the necessary options for cabinet compartments, kitchen and office furniture or nursery. Our furniture website and catalog photos of furniture will help you select the appropriate options for furniture. When you view our catalog of custom furniture, with so much furniture you have the feeling that you are in a large furniture store or salon, but with the comforts of home. Our furniture company offers a wide range of quality and affordable furniture of its own production. We produce only high-quality cabinet furniture from reputable manufacturers of furniture - custom-made furniture from the manufacturer in St. Petersburg and Leningrad region. 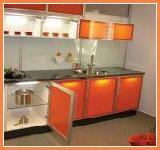 On our site there are lots of furniture projects range modular kitchen furniture and baby furniture. All produced furniture can take various forms and configurations, as well as equipment of all kinds of modern furniture for the kitchen. The site of our furniture company, you'll find the widest range of options for office and hotel furniture, as well as cabinet compartment and wardrobe rooms. If you have your wishes, it is natural to all the furniture is made for your project upon request. Furniture company Art-Design for manufacturing custom furniture " Furniture made to order from the manufacturer " has many advantages over our competitors in the furniture market in St. Petersburg. We produce custom-made furniture, the number of colors is amazing, unlike the factory of furniture and other networks furniture products as well as the standard furniture is made from a limited number of colors of materials and quality fittings are not Chinese, and Turkish manufacturers. This applies only to furniture, as furniture, our company is not engaged. 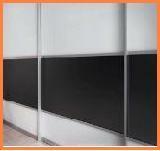 As a material for furniture - our furniture manufacturing offers a huge range of different colors laminated chipboard. To everything listed above, the furniture in our Art-Design, there is one cardinal rule for all of our clients. Designers and managers of our companies do not offer our customers a lot of options standard furniture products like they do in department stores and furniture stores online. Our production offers only the best that can be in the furniture market - is custom-made furniture. Our furniture website "Custom furniture from the manufacturer in St. Petersburg," our customers can find the most popular and affordable options for furniture - cabinets coupe, kitchen, children, dressing and other case furniture. At our site you can order and too inexpensive cabinet furniture. Even the cheap furniture, the quality of our production to satisfy your needs in terms of functionality and appearance. 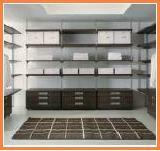 Also on this site is exclusive for cabinets and compartments and kitchens in the high-tech style. Our catalog of furniture will allow you to find exactly the furniture that you need, and yet you do not get stuck in a lot of options for designs and models, coupe or cabinets kitchen furniture, although many are very similar to each other. Calling the phone numbers listed in contacts, be able to purchase kitchens, closets to order any size of furniture for living rooms, bunk beds and lofts for children's rooms, as well as all kinds of furniture for offices and hotels, dressing rooms, hallways and more. And all this furniture can be ordered on our website without leaving your apartment, home or office. The site of "Art - Design", " Custom-built furniture from the manufacturer , "summed up all the concepts and benefits of sales and orders of furniture through the Internet. This is a convenient option for our customers, and a real opportunity to get needed services and advice on repair and manufacturing of custom cabinet furniture, fast delivery of furniture at a convenient time for our customers and most importantly - is low cost with high quality furniture. The low value of the furniture of our company, due to the fact that our production is not commercial shoplifting premium and other costs, as our company is a manufacturer of furniture. Affects the cost of manufactured furniture and the fact that our production is not necessary to produce a large number of models for exhibitions or standard products, which puts most of the organizations of furniture in furniture shops, malls and shops in St. Petersburg and other regions. And all these exhibitions shop options - this is a very serious financial costs of rent, and sellers of furniture. There is not unimportant fact that makes you buy and order our furniture in a furniture company enjoyable. It is the fact that all the furniture that you order will be for you personally, at your premises, taking into account your wishes and requests. This means that furniture production will not be extra costs, which, of course, also affect the cost of the furniture down. In addition, all custom-made furniture will be made from the materials of the colors that you like and you specifically ordered by your interior. So if you are interested in a proposal to order and buy furniture directly from the manufacturer, you can feel free to contact us by phone to our website "Custom furniture from the manufacturer." Here you will find all the information you need and advice about the kind of furniture that you like and be interested. This also applies to the materials from which the furniture is made and the types of fittings. It is also important that the furniture in our company, you get a warranty on the furniture, which is one and a half years, and the cabinets of the coupe profile Raum Plus Guarantee extended to five years. At our site you can buy inexpensive furniture of its own production and still be confident that our company - a manufacturer of furniture since 2000, offers only high-quality furniture. This could make sure those customers who have placed orders in our furniture furniture company. We have not received any serious complaints on the quality of the furniture, which means that all of our clients are satisfied with the quality of furniture manufactured by us for so many years. 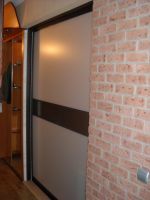 We act as guarantors of the fact that all the furniture: cupboards compartment, kitchen, children and cloakroom are made from high quality materials made in Germany and the Republic of Karelia, which also confirms the existence of a certificate of quality materials and hardware companies with whom we cooperate. We guarantee that all of the furniture ordered our furniture industry is made on an individual basis. This means that the furniture is made to order using the individual parameters and technology. Purchase of furniture and custom furniture in our company allows our customers to create in your home cozy and comfortable interior, where all your wishes will be thought out in great detail, and combined with the style of your apartment. And most importantly, that the basic elements of design and interior, which is the furniture, will satisfy your tastes and requirements and functionality. And our furniture company, its employees, and we will try to help you with this choice. (812) 980-36-42 to 11-22 hours. Спасибо Андрею за два шкафа купе, кухню и раздвижную межкомн ..
Нас читают более 100000 пользователей. © 2000 - 2019 Все права защищены. Производство мебели на заказ в Санкт-Петербурге и Ленинградской области. Производство корпусной мебели на заказ - это наша работа. Наша компания с 2000 года на мебельном рынке в Санкт-Петербурге и является одной из лучших компаний по производству корпусной мебели. Мы работаем только на прямую с Вами, и предлагаем заказ мебели без посредников и перекупщиков. У нас нет готовой мебели - вся мебель только под заказ по вашим размерам. Вся представленная информация на мебельном сайте не является публичной офертой. Обращаем Ваше внимание на то, что данный мебельный интернет-ресурс носит исключительно информационный характер и ни при каких условиях не является публичной офертой, определяемой положениями ч. 2 ст. 437 Гражданского кодекса Российской Федерации. Для получения подробной информации о стоимости изготавливаемой мебели и сроках выполнения заказа на мебель, сборки и монтажа мебели, пожалуйста, обращайтесь к сотрудникам мебельной компании по номерам телефонов указанных на сайте в шапке сайта или в разделе контакты.